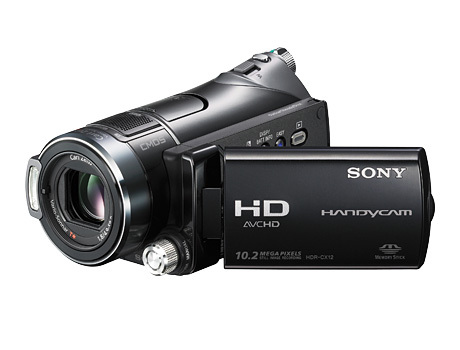 The ultra-sleek, palm-sized HDR-CX12 Handycam camcorder is the world's first camcorder with Face Detection and Smile Shutter technology. Face Detection automatically adjusts focus, exposure and color for the most natural results. With Smile Shutter, the HDR-CX12 can detect smiles and automatically capture still images, even while recording 1920 x 1080 Full HD video. You will also enjoy 10.2 megapixel still image recording to ensure your memories are preserved in stunning detail. Additionally, the CX12's small size and light weight make it an ideal travel companion, perfect for recording that special moment, wherever you are. Video and still images are stored directly to Memory Stick PRO Duo media (4GB supplied) for easy transfer to your computer or other compatible devices. 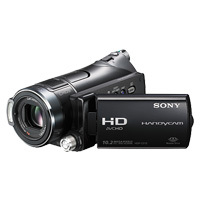 Record stunning, incredibly detailed video footage in the clarity of 1920 x 1080 Full High Definition8 resolution. Carry only one compact camera for both video and still. Capture up to 10.2 megapixel still image for high resolution digital photos. Capture still images directly onto Memory Stick PRO Duo media1 (4GB4 included) for easy transfer to PCs for emailing, printing, or sharing with other compatible Memory Stick devices (sold separately). Smile Shutter technology lets the camcorder automatically take still photos when your subject smiles, even while shooting High Definition video. You can also set the Smile Shutter sensitivity and choose child, adult, or auto priority. Made possible by the BIONZ image processing engine, Face Detection technology recognizes up to 8 faces anywhere in the frame and automatically controls focus, exposure, and color to help capture smiling faces brightly and clearly. Face Detection also helps make skin tones look natural without affecting other colors in the image. Sonys newly designed CMOS image sensor delivers bright, vivid, and spectacularly detailed 5 megapixel (effective) video footage, as well as 10.2 megapixel still images -- all with prolonged battery life. Exmor technology captures images with high resolution and high sensitivity. In addition, the advanced Sony BIONZ image processor improves camera response time and screens out noise so the signal from each pixel is as pure as possible.